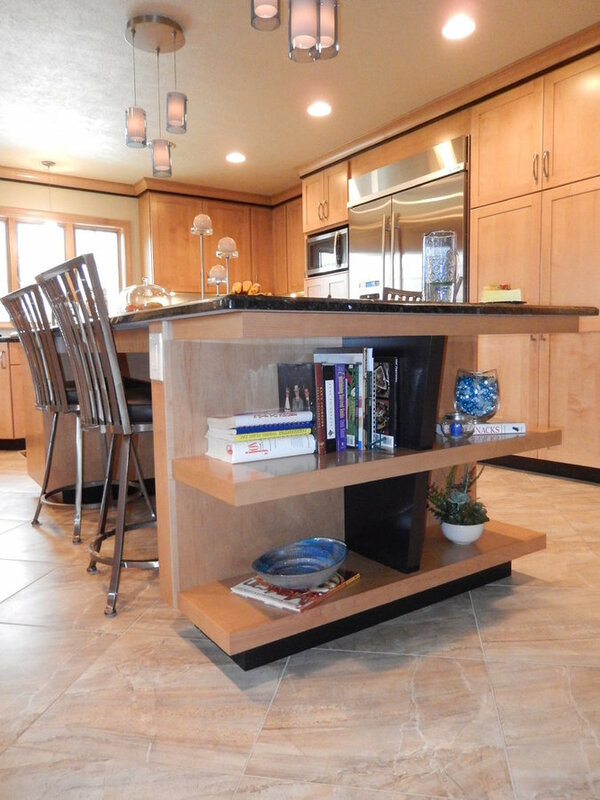 Custom kitchen featuring ample storage and features. 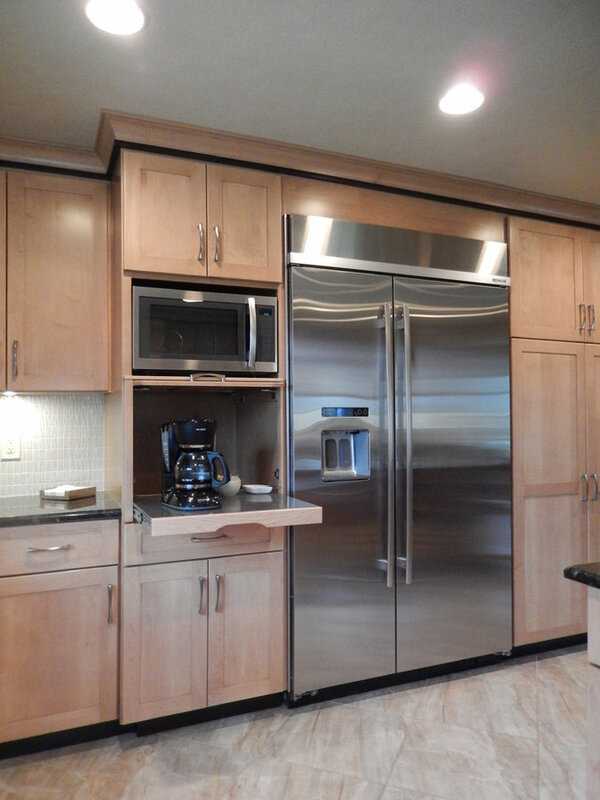 Stainless steel appliances, shaker cabinets. 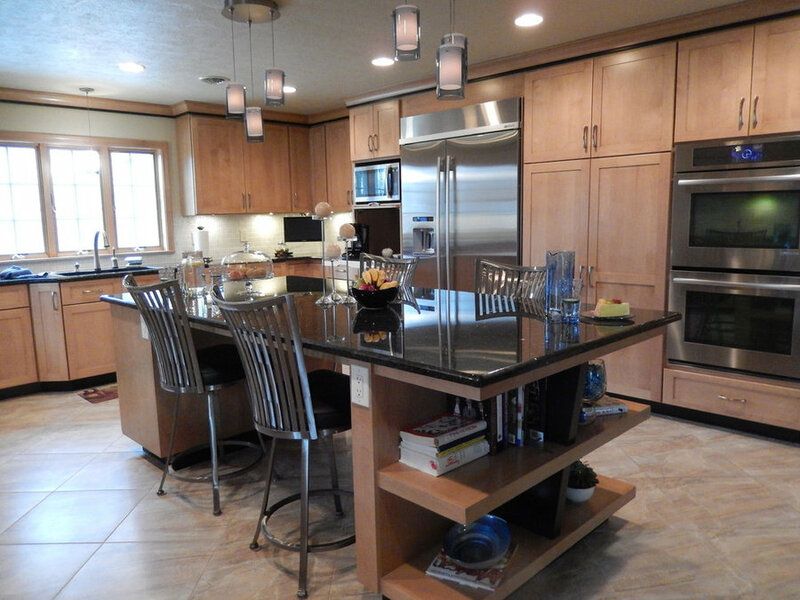 Accent wood trim in dark finish.